The new environment requires me to work using the Linux OS – Ubuntu. It is my first time using the Linux in my working life and it is my second time using Linux OS. The first time was during my college time when we were working on the group assignment to introduce a Linux OS. Back then, I used Suse Linux. I barely have any memories of using the command lines and it is going to be a challenge for me. I got a help from my colleague. He tried to restart the laptop with an attempt to boot to Advanced Setup from Windows. Make sure the USB is connected to the laptop. I saw he pressed ‘Shift’ and restart. For Windows 10, we have to change the UEFI Firmware settings to boot device from the USB. It goes into this screen and select ‘Use a device’. Select the USB to be used and the computer will now restart and boot from the selected USB drive. Some guides can refer here too, https://www.tenforums.com/tutorials/21756-boot-usb-drive-windows-10-pc.html. Since my laptop is using the Windows OS, I installed the VMware Workstation in order to allow myself to install the same Ubuntu version on the virtual machine. I feel it is more easy for my learning or do my work if I have the similar environment on my laptop. 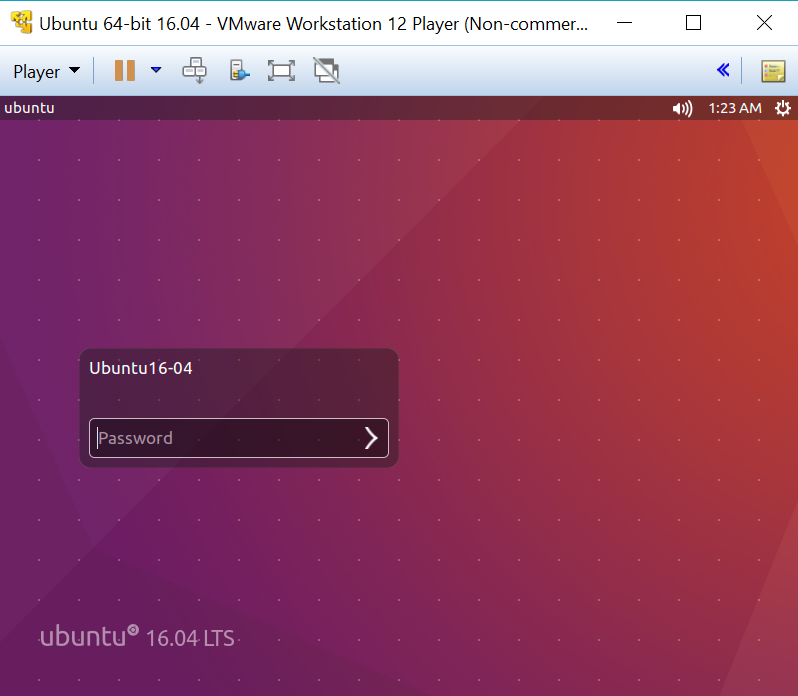 Before I begin my setup to create new virtual machine in the VMware Workstation, I downloaded the Ubuntu 16.04 disk image from the Ubuntu website, https://www.ubuntu.com/download/desktop. 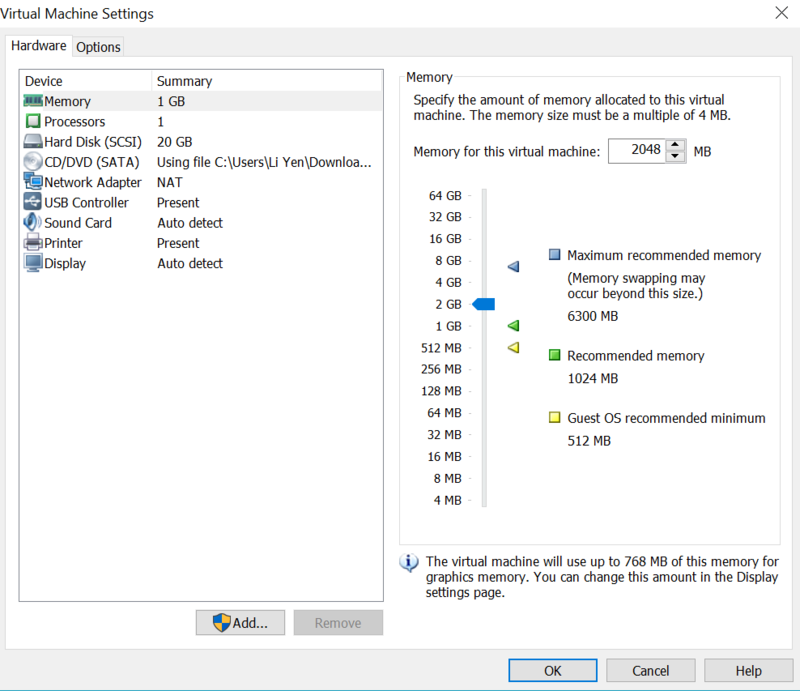 To create a new virtual machine, it is simple by following the step by step in the VMware. 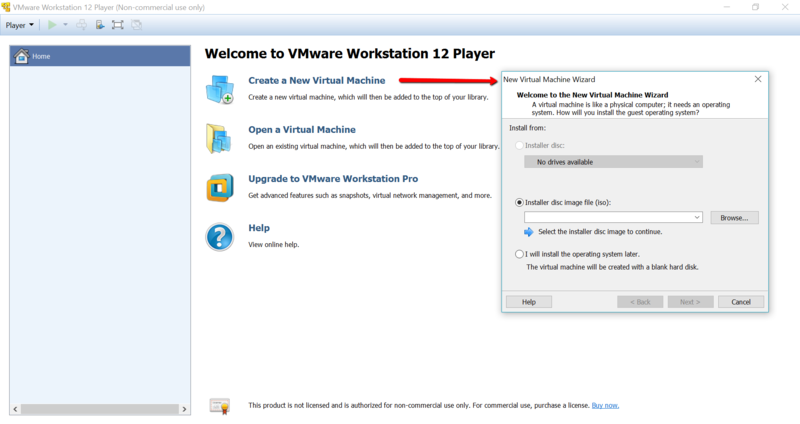 There is an online guide to follow too, https://betanews.com/2012/08/29/how-to-install-ubuntu-on-vmware-workstation/. I find the step by step setup is easy and fast. If you wish to customize the setting, you can do it by clicking the ‘Customize Hardware’ button. It prompts up to the screen above. I increased the RAM to 2 GB instead of the default 1 GB and keep the default 20 GB for hard disk space. 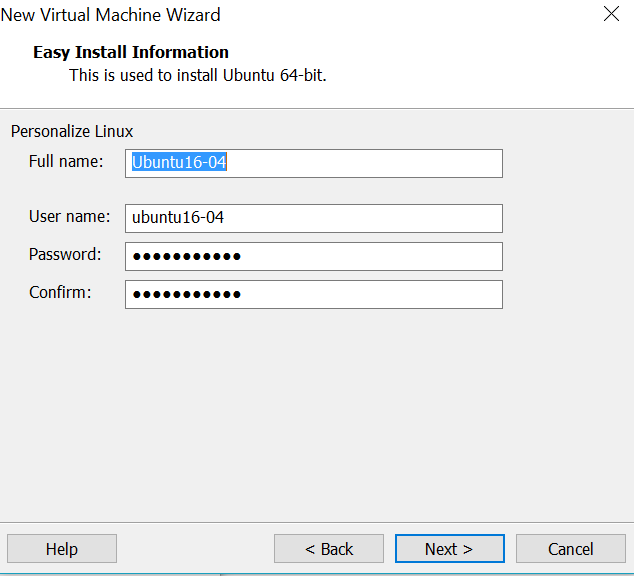 Complete the installation with naming the virtual machine and personalized the user setting with username and password. You can choose to ‘Power On’ the virtual machine and start using it before hitting the ‘Finish’ button. This is how the Ubuntu’s interface looks like. Everything is well setup and working fine. I pretty like the user interface with the task bar on the left, maroon in colour and simple user interface. Initially, I fear that I have to use command prompt all the way to do my work.